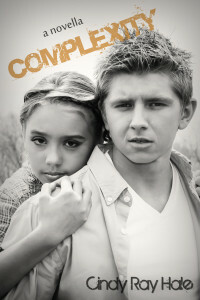 Today is the cover reveal for Complexity by Cindy Ray Hale. This cover reveal is organized by Lola’s Blog Tours. 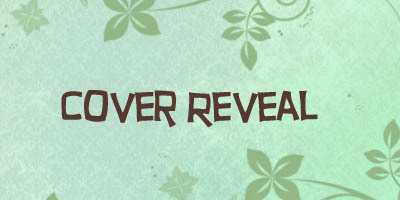 Cover design by Virginia Rose Hodges Photography and Cindy ray Hale. Cover photo taken by Virginia Rose Hodges Photography. Cover models are Emily Hodges and Casey Phelps. Hair and makeup is done by Tone’ Jackson of TJ Styles. Olivia Clark likes to tell herself she’s too focused on following all the rules to pay any attention to Hudson Brown, the wealthy longboarder who lives up the hill. But the more he comes around, the harder it becomes to resist his charm. Then when a terrifying crisis strikes her neighbor Liliana Watson, Olivia is faced with one of the most difficult decisions she’s ever had to make. When the lines between right and wrong begin to weave into a pattern of complexity, will Olivia have the courage to follow her heart and still make the most selfless choice of all? Liliana continued on her rant about her mom’s latest control tactics, but I wasn’t listening anymore. Across the room, a boy with messy blond hair was casually leaning against the wall of the cafeteria, gripping the straps of his backpack and talking to the high school chemistry teacher. He caught me staring at him and a corner of his mouth quirked up. I turned away, cheeks flaming. And of course I looked. He was still there, staring with that smile. Great. Yet another guy I’d probably have to reject. “Not that he’d have a chance with the untouchable Olivia Clark,” Liam Goshen said from a few seats down. I pretended I didn’t hear him and turned to Liliana to change the subject. “Do you think I’ve mastered my audition piece enough to get better than fourth chair this year?” Talking about my flutist abilities was better than listening to Liam go off on me for rejecting him last spring. Him and about five other guys. It wasn’t like he wasn’t hot. He totally was. But I didn’t date. “Olivia, all you’ve done all summer is play your flute. I’m pretty sure you’re first chair material now,” Liliana assured me. I smiled, and as I did, my eyes slid of their own accord to where the blond boy was still standing. He met my eye again and turned and slipped from the room. Cindy Ray Hale lives in a little slice of wooded heaven near Atlanta, Georgia with her husband and children. She spends way too much time following up-and-coming musicians on YouTube and dreams of joining their ranks one day. She’s a bit of a health food nut and can’t live without her daily green smoothies. She tries to stay sane as she juggles writing with four kids, staying active on social media, and keeping up her book blog at http://cinnamoncindy.blogspot.com/. In addition to writing and self-publishing two Young Adult Contemporary novels, she has also written articles for “New Era” magazine and The American Preppers Network.